Hi, just a quick post today. I made this card after seeing the Try a new Technique on Split Coast stampers Monday. It involves inking one side of an embossing folder then running your paper through. It called for white on white with just a touch of pale color. It's based on the look of Irish pottery. So anyway, this was my take on it. Besides the embossing folder and chalk ink in sand, I used the butterfly die from Stampin Up. The square die is Spellbinders. The corners are a Paper Shapers punch. White pearls. 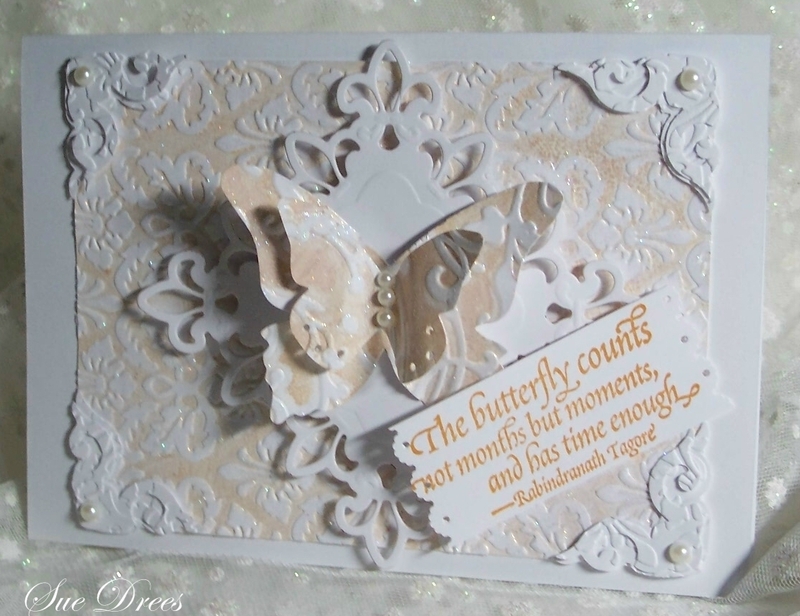 I painted the entire embossed piece with DecorArt Glitter paint, as well as the butterfly. Had a hard time getting a picture of this one, was dark all day today and shadows were a real problem. Beautiful work Sue, just a gorgeous card! Wonderful butterfly and sentiment, love the white!! Sue, this is so lovely! The card totally showcases your gorgeous butterfly. Well done! Hugz! Sue, "A Touch of Class" for sure. This card would have been treasured by my Grandmother. She would have framed this one and displayed it proudly. Anything that reminds me of her just melts my heart. That embossing folder and your corners are lovely. It really has the beautiful look of Irish Pottery. Nicely done. Enjoy your day. this card is very elegant sue, you have used beautiful paper. Oh so elegant card, wonderful ! Sue, this is absolutely beautiful! Stunning creation, Sue. 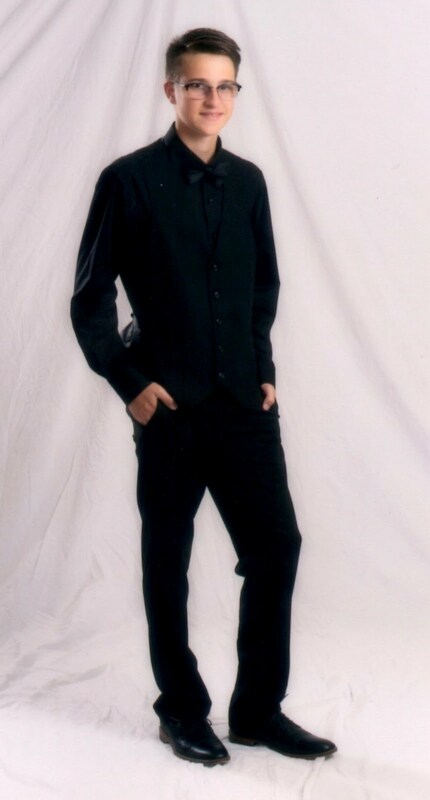 So very elegant. What a beautiful card, with an incredible background! I love the colors and layered butterflies! Stunning and so elegant! Sue, I am back to let you know that I just awarded you the Liebster Award. You certainly deserve it. You always turn out such gorgeous cards and I receive a lot of inspiration from you. Wow, this is just gorgeous Sue. What a beautiful creation. It's so elegant and pretty. Love the embossed background. So beautiful! I love this technique, but I haven't done it in awhile. Thanks for the reminder! Absolutely lovely! What great layers and detail! !